Two Dinka SPLA men at Pariak village, with the shelters of returned Internally Displaced Persons beyond. Morton, Chris. 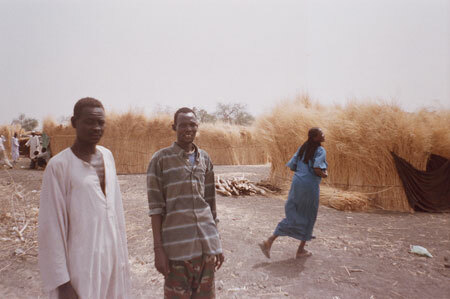 "SPLA men at Pariak" Southern Sudan Project (in development). 03 Jan. 2006. Pitt Rivers Museum. <http://southernsudan.prm.ox.ac.uk/details/2007.137.25/>.